Fox "News" is right-wing, Trump loving, racist propaganda -- plain and simple. They poison the airwaves with their lies and brainwash millions of Americans every single day. They are NOT journalists -- they&apos;re simply Trump&apos;s loyal servants. We&apos;re SICK of their lies and corruption. 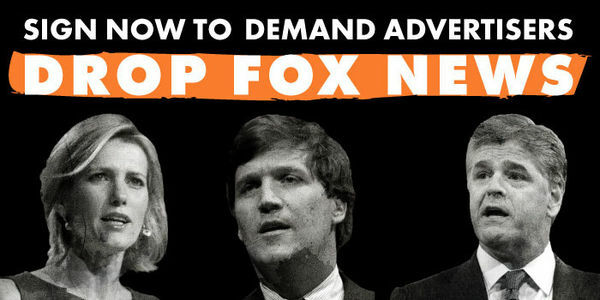 It&apos;s disgusting that companies still pay Fox "News" MILLIONS each year in advertising revenue. This must end!! !